He was the teenage only son of well-to-do parents, with uncalloused hands and a yen for real life. Mother and Father – a marine insurance broker – were off on a world cruise for their health, so they packed him off on one of the last British windjammers. 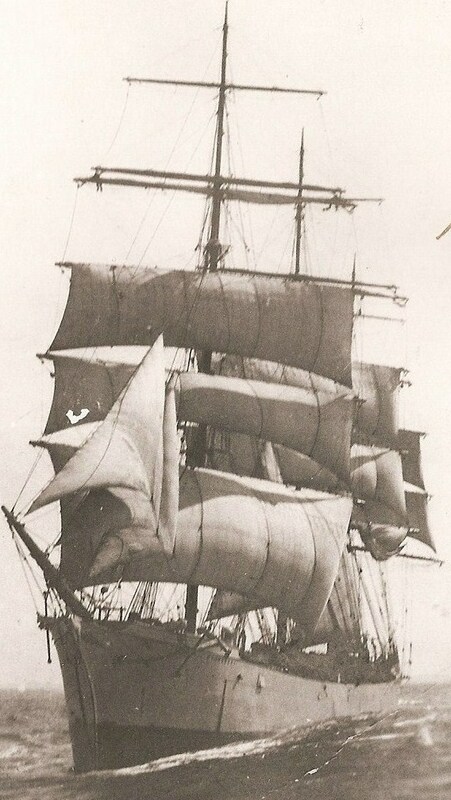 And that was how Eugene Bainbridge, ex-Marlborough College, joined the motley crowd in the half deck of Monkbarns with his expensive Leica in Newcastle NSW in 1924 and set sail for two years on what would turn out to be the old square-rigger’s very last trip. 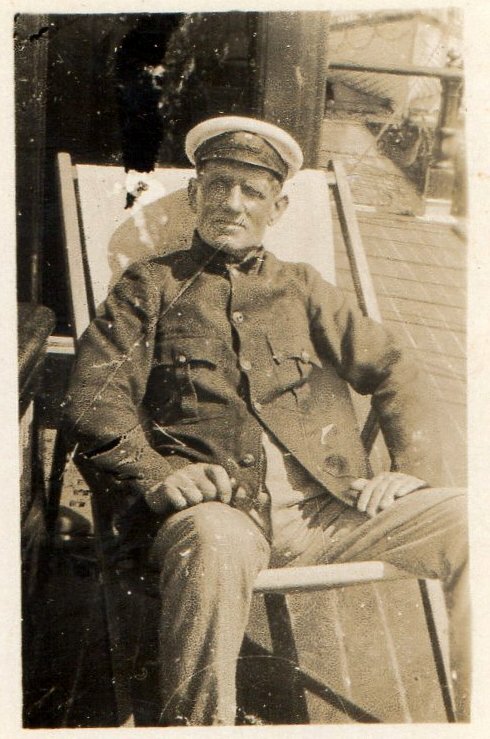 Bainbridge père paid £38 for Eugene’s third class berth out on the P&O passenger ship Barrabool – which was nearly five months’ pay for the men in Monkbarns’ fo’c’sle. John Stewart & Co apprentices, of course, as their indenture papers firmly stated, received “NIL”. But even with half the hands working unpaid, the sums for the old windbags were no longer adding up. One by one, John Stewart’s fleet had been sold for scrap. Monkbarns was among the last four, and she had been laid up in Bruges for over a year until a lucky cargo of rock salt brought her out of retirement in 1923 one more time. 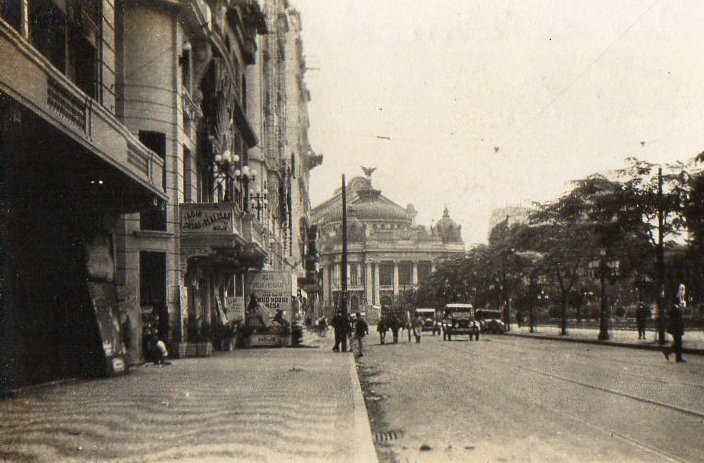 By Christmas 1925, she was in South America, in Chile, and the “boys” in the half deck saw in New Year 1926 stowing half a cargo of guano picked up from a derelict in Valparaiso bay – another old sailer that would never see Europe again. They left in mid January, bound for home via the rough passage round the Horn. So far the voyage had already claimed two lives since the ship left Liverpool three years earlier – an apprentice lost overboard off one of the yards in a gale and a suicide by morphine overdose in Newcastle NSW – and now the master was dying of stomach cancer, but the seven apprentices didn’t know that. “23.1.26 Saturday. Washed half deck with John [Davies]. Took wheel 12-2pm. It struck me again what an advantageous point of view the wheel is. 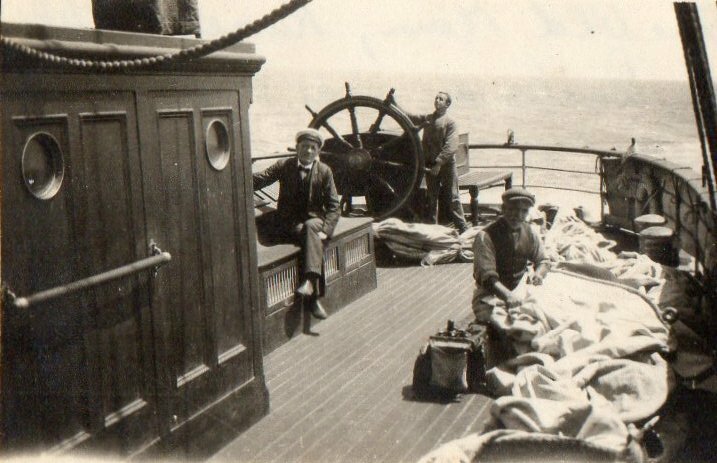 Everything puts on a more pleasing aspect as one views the quarter deck, and shipmates busy with some uninteresting job seem to hold an enviable position. The beautiful silence which reigns as you keep one eye on the weather leech of the top gallant sail. The sea is covered with little ripples today but would otherwise present a flat surface. The breeze is not bad, though considerably less than yesterday and the courses are drawing well. The breeze has dropped again but at 1.30 tonight it suddenly livened up and clouds appeared on the port quarter. 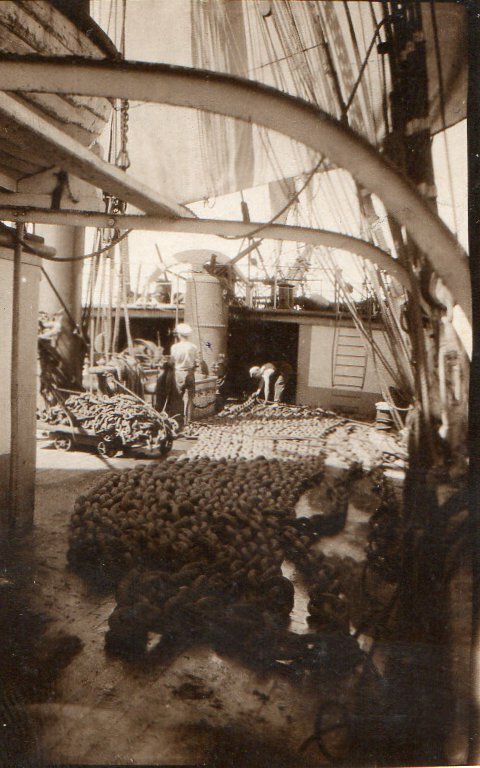 Hall [seaman] came on to the lookout and started to talk about the copra trade before the high duties in Sydney. He said that it was on account of one or two fires that high duties were put on, and now there is no trade to speak of, the main bulk going to USA. “24.1.26 Sunday. Oiled my second pair of oilskins and hung them out to dry. Turned in in the afternoon. Still making westerly and no sign of change. “25.1.26 Monday. Finished chipping anchor chain and tarred some of it. Very little wind and still going to the westward. A fair wind (NW) is about the last thing that anyone would expect and we shall soon be in Australia like this! “26.1.26 Tuesday. Wheel 8-10. Nothing to do but watch the sails. Wind gradually dying out and ship starting to roll slightly. Fine day and sun very strong. No clouds about. Wind disappeared and rolling at times. Finished the port anchor chain and lowered it into the locker. Hove starboard chain up on deck ready to scrape. Beautiful evening and Dave [cabin boy] joined me on the lookout from 8-9.30. I told him I wouldn’t be entertaining but he managed to get through a fair amount of talking, as usual, and was evidently satisfied. We discussed Goethe’s Faust, or at least, he did, and then he praised Scarlatti and Chopin. “27.1.26 Wednesday. Flat calm and very hot (85 degrees in shade). Sleeping on main hatch where the night air is refreshing. Scraped the starboard anchor chain, tarred and stored it. This evening, the mate gave me a bucket to put a new rope handle on. I did it after referring to the book and put the usual “simple Mathew Walker” on. He praised them next day. For three weeks, as the ship made its way slowly out into the Pacific, the port and starboard watches chipped, tarred and stowed the mooring chains, and trimmed the cargo in the forehold, wheeling the stinking choking stuff barrow by barrow to the after hatch to dump. They reeved off new buntlines, downhauls, clewlines and braces. Chips made new blocks, and Eugene stood his trick at the wheel. By the first week in February they’d swung SSE with the Easterlies and were heading for the Horn, the sea was becoming heavier and the skies had turned grey. “6.2.26. The Old Man is bad today, and everything is done to stop the ship from rolling,” Eugene noted. “The mate changed course three times tonight for that reason.” In the half deck, a heavy tin of jam fell out of the apprentices’s locker onto Eugene’s head, inflicting damage. But the ship still had to be worked. One of the senior apprentices, Raymond Baise, was promoted to acting 3rd Mate. 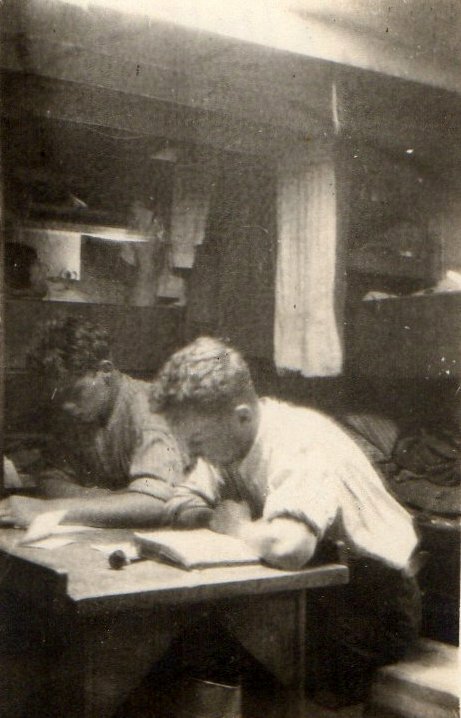 The 2nd, Mr Williams, who had started the voyage as able seaman, took over many of his chief’s tasks and watch after watch they braced the yards, tacking, wearing ship – trying to catch the slightest breath of wind, while the exhausted Mate kept his eye on all, scouring the Ship Master’s Medical Guide for instructions on how to ease the dying man. They sighted land (Cape Frio) on the 25th of March. On the 28th they sighted the Sugar Loaf, and by evening the Old Man had been taken off to hospital. 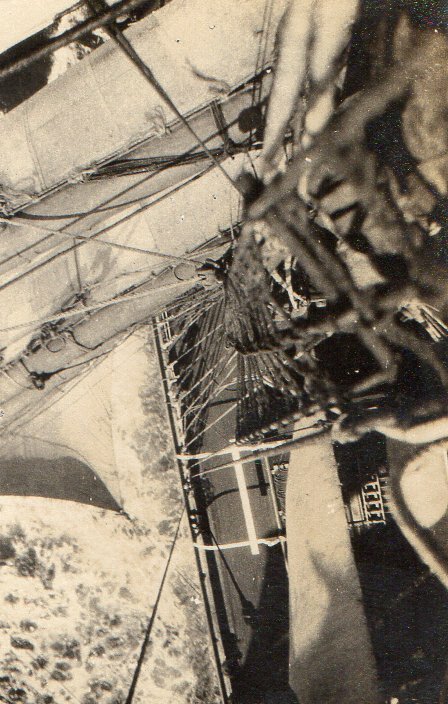 The 29th, Eugene whizzed through his chores (cleaning brasswork, washing down the decks, getting a sail up out of the locker through the choking ammonia fumes) and tried to go ashore in the launch at 5pm as the Mate arrived back from the hospital. The Mate said “no”, Rio was under martial law. 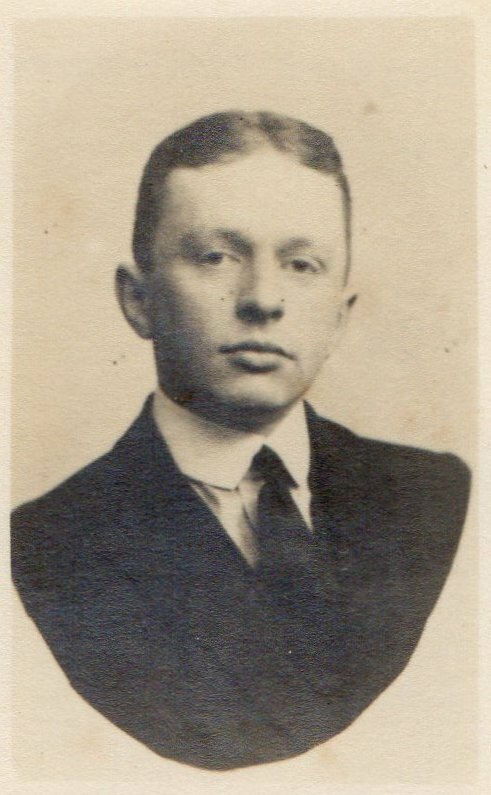 Captain William Davies died in the night, aged 61. The telegram to his wife with the first indication that he was ill followed the next day by a second, with the shocking news of his death. All the apprentices and “Sails”, Henry Robertson, were invited to the brief funeral in Rio’s English cemetery, but there is no description of it in Eugene’s diaries. Only six of them were needed to collect the body from the hospital. 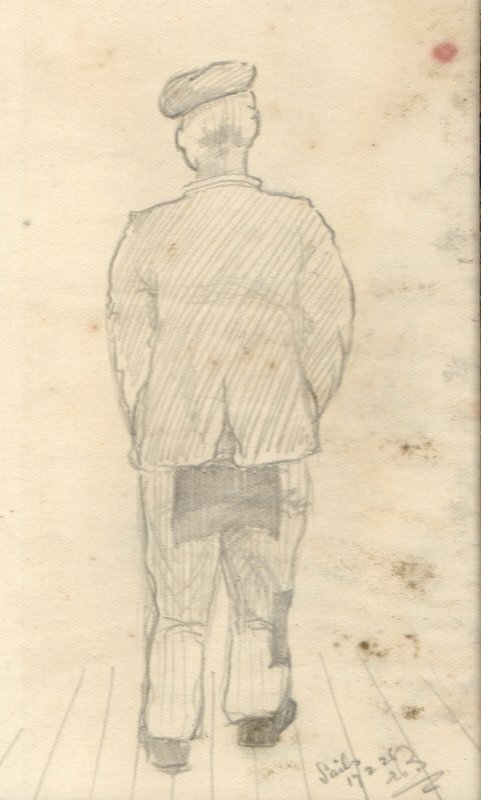 Eugene, left to kick his heels in the agent’s office for an hour with Bill and old Sails, recognised a passing Old Marlburian by his school tie, and struck up a chat. The new master was determined to keep spirits up. They were bound for home – across the Line. For the further adventures of Eugene Bainbridge esq.– supported by the newly discovered letters of Raymond Baise (!!) – find me a publisher.